The Taurus molecular cloud 1 (often abbreviated TMC-1) is a giant molecular cloud in the constellation of Taurus. The cloud is notable for containing many complex molecules, making it the nearest large star formation region. It also reveals characteristics that make it ideal for detailed physical studies. It has been important in star formation studies at all wavelengths. The Taurus Molecular Cloud (TMC) makes up much of this area. A molecular cloud is a large dense area of gas and dust in space made mostly of molecular hydrogen and helium. It is a birth place of stars, which form from the material in the cloud. 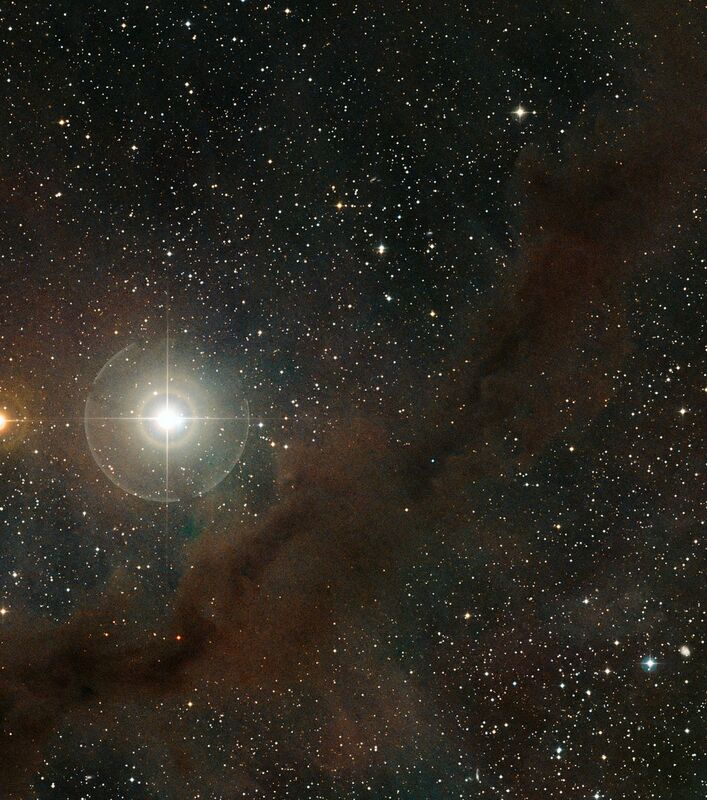 The TMC is located about 400 light years away, and is one of the closest molecular clouds to our solar system. 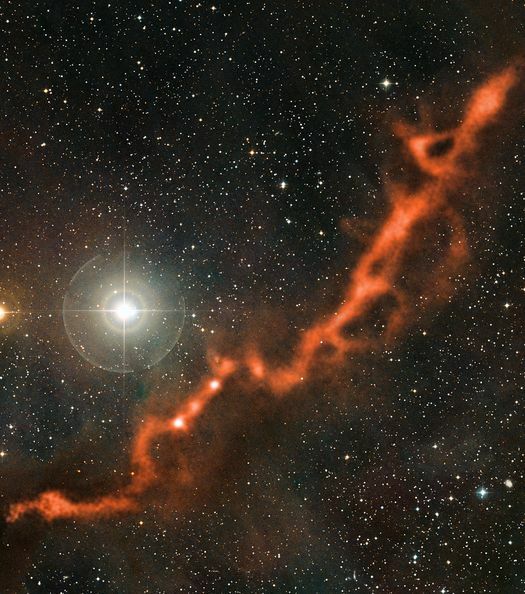 The Taurus Molecular Cloud (TMC) ranks among the nearest and best-studied low-mass star formation regions. It contains numerous prototypical examples of deeply embedded protostars with massive disks and outflows, classical and weak-lined T Tauri stars, jets and Herbig-Haro objects, and a growing number of confirmed brown dwarfs. Star formation is ongoing, and the cloud covers all stages of pre-main sequence stellar evolution. We have initiated comprehensive surveys of the TMC, in particular including: (i) a deep X-ray survey of about 5 sq. 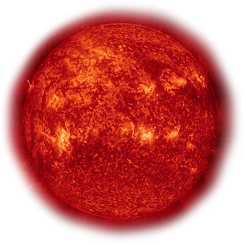 degrees with XMM-Newton; (ii) a near-to-mid-infrared photometric survey of ≈30 sq. degrees with the Spitzer Space Telescope, mapping the entire cloud in all available photometric bands; and (iii) a deep optical survey using the Canada-France-Hawaii Telescope. Each wavelength regime contributes to the understanding of different aspects of young stellar systems. XMM-Newton and Spitzer mapping of the central TMC is a real breakthrough in disk characterization, offering the most detailed studies of correlations between disk properties and high-energy magnetic processes in any low-mass star-forming region, extending also to brown dwarfs in which disk physics is largely unexplored. The optical data critically complements the other two surveys by allowing clear source identification with 0.800 resolution, identifying substellar candidates, and, when combined with NIR data, providing the wavelength baseline to probe NIR excess emission. We report results and correlation studies from these surveys. In particular, we address the physical interpretation of our new X-ray data, discuss the entire young stellar population from embedded protostars to weak-lined T Tau stars and their environment, and present new results on the low-mass population of the TMC, including young brown dwarfs.